When you take swimming lessons, one of the few things you learn is that the human body is about 72% water. This means that any human should be able to float easily. Our lungs, filled with air gives additional buoyancy to our body. Overall, we have an advantage in water. Research shows that if a person is drowning, they ought to remain calm and allow their body to utilize its natural floating capabilities. This will keep their head above the water, letting them breathe. So basically, do nothing. Interesting! Why do people drown even when they are aware of these facts? I’ll tell you why. They panic. Okay, that’s understandable. Your body goes into survival mode. That’s good, but not in this particular situation. The only way to save a person, who is panicking and drowning in water, is to let them near-drown. When they stop all rapid movements, they can easily be towed ashore and resuscitated. Risky, don’t you think? The other course of action is to throw them a lifeline. Relaxing or staying calm is easier said than done, especially when you're in a life and death situation but confidence in what you know and believe - keyword “believe” - is what saves you. You can know yet not believe; this construct is one I will address in detail as you read on. When we find ourselves drowning in life, we cry out to God to save us, all the while flapping our hands and grasping on to anything but his outstretched hand. When it seems like God is silent as we drown in all our worries, in those moments, He is waiting for us to find ‘the courage to do nothing’. When it seems like we might be lost before he - the lifeguard - gets to us, he throws us a word-line. As long as you surrender your will - do nothing - and grab that word, it will reel you in. “O ye of little faith, why did you doubt?” Matthew 14:31b This was Jesus’ statement and question to Peter after Peter started to sink - and it is astounding. Jesus had proven to his disciples that there is a power at Jesus’ disposal of a magnitude never seen before. So what was a little wind to a man who defied the odds and walked on water, gave life to the dead and opened blind eyes? What is that wind to you as he empowers you to walk on water towards him? This is the word-line I hold on to. What’s God’s word-line to you? Action Point: What is that wind to you as he empowers you to walk on water towards him? This is the word-line I hold on to. What’s God’s word-line to you? Some things may be facts but not true. The truth is: You are chosen, loved, anointed and blessed by God. You are righteous, free from sin, guilt and shame. You are royalty, the light of God and He lives in you. He loves you. The fact may be that you lied, cursed, stole, committed sin in one way or the other, or you haven’t set foot in church in a long time. Those are facts but they aren’t the truth. The truth, not your facts, determine who you are in Christ. Whatever your facts may be, they don’t change the TRUTH. Whatever Jesus says about you is who you are. You should fix your mind on those things He calls you. Your facts may be ugly, but you should see, know and remember how beautiful your truth is. Don’t waste time beating yourself up about the mistakes you have made, the things you did, the sins you committed. The Bible specifically instructs us to think about the truth. Action Point: The more you study God’s word, the more you realize His truth about you. Teach me how to trust in You when nothing makes sense. Teach me how to be grateful and forgiving. Teach me how to be calm during the storm. Teach me how to be obedient. Teach me to love like you love me. Teach me how to be positive through any situation. Teach me how to forgive. Teach me how to wait. Teach me how to serve You without complaint. Teach me how to praise You with everything and worship with my spirit. Teach me how to listen when You speak. Teach me Lord, for I know nothing but what You show me. Action Point: As a believer, you must strive to always walk in the footsteps of Jesus Christ. Biblical Inspiration: 1 Peter 2: 21-23. This question might be hard to grasp but the reality is that some people may be present and yet be living in moments past. To forget is to, intentionally, disregard or overlook an event. It is necessary to disregard past events – good or bad - to keep moving forward. If we keep dwelling on past successes or failures, we will not dig deeper, move on and work harder to reach our potentials. If we do not let go of the old, we will never be able to embrace the new. Your history does not matter, what really matters is what lies ahead of you. It is up to you to make a choice and take that step to move away from your past. This would involve walking with God and trusting that He will guide your path as you go. Trust He has a better future in store for you and He is working behind the scenes on your behalf. As you forget what lies behind, press forward and walk with God, you will begin the experience His provision and abundance in ways that you cannot comprehend. Say this word of prayer - Father, I choose to forget the past today. I don’t want anything to hold me back from the good future You have prepared for me. I choose forgiveness and ask that You help me by Your Spirit to press forward in every area of my life in Jesus name, Amen. Action Point: Ask God for the grace to move on and not be stuck in your past. Recently, I bought a poster that reads NO EXCUSES and hung it on the wall in my room, across my bed, just so I could see and read it every day. For me, the words on my poster serve as a constant reminder to exercise and eat healthy regularly, without making excuses. 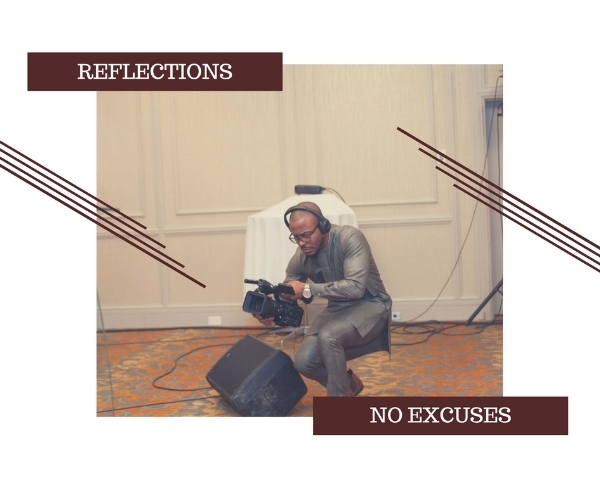 I have struggled with excuses in different aspects of my life. Many times, I talked myself out of things. For example, for a while, I convinced myself that I did not have to attend weekday services. Excuses are lies we tell ourselves to justify disobedience. Every time you make an excuse, you especially towards the things of God or the assignments He has given you, you disobey and; may I remind you: disobedience is a sin. Stop looking for reasons why you can not take action. Do not blame your environment or situation for your failure to complete your assignment. God is a not a man that He should lie, He has everything well thought of and planned. Every assignment He gives you, He will surely make the provisions available so you can reach completion. When Moses was sent to Egypt to free his people, he was doubtful. Even after God used him to showed him miracles, he was still worried and anxious. God reassured him and made provisions for his assignment by sending Aaron his way to be his spokesperson. When God tells you “this is where I want you to be” that is where you should be. It is not a time to air out your opinions as to why you should not or can not be there. God is omniscient. He knows all things, He misses nothing. He will not give you more than you can bear. If you want to be great, this year, obey the word of God and stop making excuses! Action Point: Allow God to use you, listen to Him and follow what He says and, everlasting joy shall be yours. Everything is systemized – our universe, society, government, education, even the church. There are laws, protocols or principles that associated with every system. For us, who are members of the church – which is the body of Christ – we live according to the Word. The Word of God governs and speaks for us. If we truly believe in the stipulations of the Word of God then we must believe that we are made in His likeness and are His heirs. This is the Word of God – it contains the principles that governs this system that we are a part of. His Word calls us His heirs and children. Through Christ, we have a right in God’s kingdom and we must acknowledge and live by it. It does not matter who you are or what you do, if you believe in and live according to the Word of God, you are a child of God. So, if your father is a great God, you - His child– can’t help but be great. Greatness is your right. Everything about you must exude greatness – your words, actions, relationships, investments, lifestyle and mindset. Your life must reflect the greatness that God has deposited in you. It doesn’t end there. God’s Word for you is that you wax greatly. To wax is to grow – so regardless of what level or stage of life that you are in at the moment, you will grow and grow greatly. Every new level that God takes you to will not, in any way, be comparable to the latter. The difference will be clear. This year, live according to the Word of God over your life. Believe, wholeheartedly, in the principles that truly governs your existence. Do not let anyone or any situation tell you otherwise. 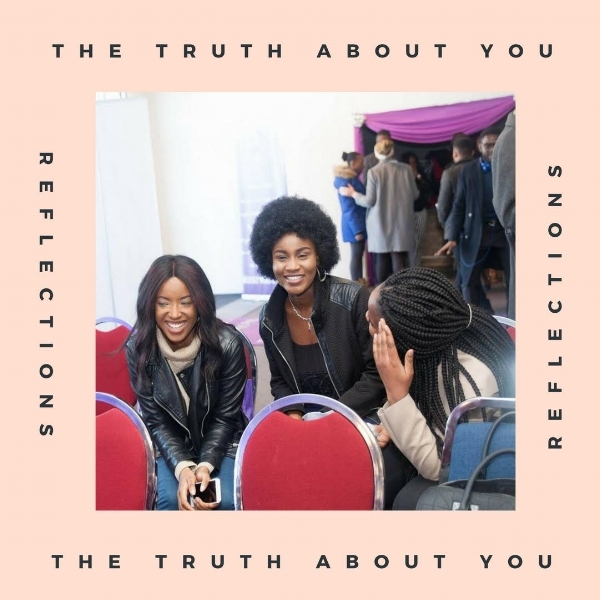 Nothing about you is meagre, you are great and that is the truth. Action Point: Living according to God’s Word involves being completely obedient to it. To be great, you must obey the Word of God. It is so easy to be discouraged when life gets tiresome, bills aren’t paid, school gets so difficult, work gets too exhausting, your health deteriorates or future seems bleak. It is so easy. A discouraged person is prone to fatigue, hopelessness, despair, depression and bitterness. Discouragement stems from past misgivings, present shortcomings and uncertainties about the future. It steals your joy, peace, contentment and zeal. It comes with so many unpleasant thoughts. The moment you have nothing to rely on or forget your blessings and begin to focus on your circumstances, discouragement sets in. As you become unaware of God’s presence around you begin to forget or doubt the promises of His word, discourages shows up. Instead of wallowing in discouragement, yearn to be and remain encouraged. Be steadfast in your hope in the Lord and let His peace encompass you. Rest in his love and promises for you. God knows your troubles and He cares so much for you that he will not abandon you. If you want to stay encouraged, focus on Jesus and His word for your life. When you focus on Jesus, you experience comfort, peace and encouragement. Find Him, focus on Him and his promises, love Him and be steadfast in your faith with Him. Action Point: God did not bring you this far to leave you. No matter the circumstances you find yourself in, be encouraged in the Lord and his word. God will never forsake you. And God saw that the light was good (suitable, pleasant) and He approved it; and God separated the light from the darkness. - Genesis 1:4. One of the first orders of business in the creation story was the separation of light from darkness. Why go through the trouble? God could have just mish mashed everything together and still ended up with the same result. He could, but He didn't. God, in His sovereign wisdom, was setting precedence for the lives of His children. Every true child of God will have to go through some form of separation just as Abraham, Noah, Jacob, Joseph and David, amongst others, did. They all have different stories but the process is eerily similar. I, particularly, love the story of David! Before he became the leader of the great nation of Israel, he was a mere shepherd boy who led and took care of a herd of sheep. Before he had the privilege of sharing his psalms/hymns with the rest of the world, he had an audience of God and - you guessed it - sheep! I can’t imagine the countless hours he spent playing and practicing music alone in the field. But God saw all that and knew he had the right heart to lead His people. God needed to separate David unto Himself. 1 Samuel 13:14. David, even after being anointed King by Samuel – a great man of God went back to tending sheep. What a humbling experience! Biblical scholars say, after being anointed, it took 15 years before David eventually assumed the throne. Separation is a place of preparation, growth and maturation. It will look very different for everyone. It is a weeding out of everything else in our lives until all that is left is God. Separation is that which is between a promise and its manifestation. Many at times, it is very difficult to experience separation. It could be really hard to make sense of it. Try as we may, there are no shortcuts or escaping those times. We must go through them. We must go through separation. As we do so, we must rely on God’s grace to see us through every step of the way. Our faith is tested and stretched, humility is birthed, strength of character is formed and giants are aroused in the place of separation. Key biblical figures and giants of faith experienced elevation, after separation, and so will you! Action Point: Ask God to reveal to you what He wants you to separate from. Your obedience might very well be the key to your elevation!